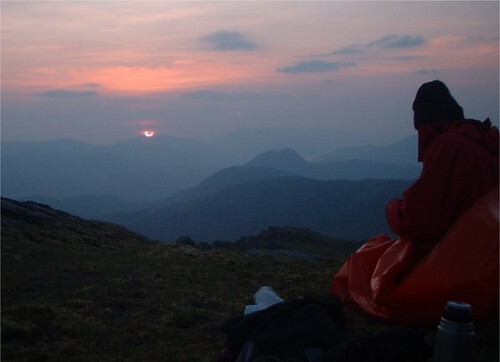 Step outside next Friday morning, and you might notice dogs barking, birdsong disappearing and an atmospheric twilight passing over Scotland. Beginning at 8.30am on March 20, a partial solar eclipse is due to occur over northern Europe, blotting out much of the morning sunlight for around two hours. This rare phenomenon, which occurs when the moon passes between the sun and earth, will be visible from a number of countries. Scotland offers some of the best locations for solar spotters, with maximum obscurity ranging from around 93% in Edinburgh, Glasgow and the Scottish Borders to an impressive 98% in the Outer Hebrides and Shetland. Not only the largest of its kind visible in the British Isles since 1999, Friday’s eclipse will also be our last chance to see a solar eclipse of this magnitude until 2026. Find out how and where to view this one-off spectacle and make sure you don’t miss out. The number one rule when watching a solar eclipse, whether partial or total, is never look directly at the sun with the naked eye, with sunglasses, or through binoculars or a telescope. This can cause serious and permanent damage to your vision, even when the sun’s rays don’t seem strong. Don’t risk it! The safest way to enjoy this fascinating phenomenon is to buy CE-certified eclipse glasses or solar viewers, or to make your own pinhole camera, where the sun’s rays and the moon’s shadows are reflected onto a piece of paper or card, shifting shape as the eclipse progresses. This year’s eclipse will begin at 8.30am and last for two hours, peaking at about 9.30am. The exact time of maximum obscurity depends on your location; find out when you can expect to see it at the British Astronomical Association website. 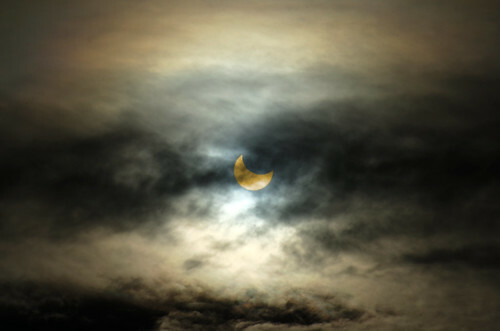 With good conditions, the eclipse should be visible across all across Scotland. Keen astronomers might want to take a trip to the stunning islands of the Outer Hebrides, Orkney or Shetland, where obscurity will reach 97-98%. Cruise and Maritime Voyages will be taking three ships of passengers to the islands to witness the spectacle, and Sumburgh Head Lighthouse Visitor Centre and Nature Reserve on Shetland will host a viewing event from the foghorn platform and west seabird viewing platform. Be sure to pop into Frankie’s in Brae, recently named the UK’s No.1 Fish & Chip Shop in the National Fish & Chip Awards, for a special ‘Eclipse Platter’ afterwards! In Dundee, the Mills Observatory will be open from 8am until the end of the eclipse at around 11am, offering a number of viewing options to help you view the eclipse safely, while the Torry Battery in Aberdeen offers an excellent vantage point to watch the spectacle. The Dark Sky Park in Galloway Forest Park, the only one of its kind in the UK, is naturally another ideal location for budding astronomers. Watch the solar eclipse from the park, or join the experts at Kirroughtree Visitor Centre later in the day for their regular stargazing event – you might even spot Jupiter. Keep your fingers crossed for clear skies next Friday 20 March, and don’t forget share your photos of the solar eclipse with us on Facebook, Twitter or Instagram using #brilliantmoments!